Last week, Jeff and I signed closing papers to sell the business that we moved out here a year and a half ago to open. As I walked into the center right after closing the deal, I looked around at all of the posters we had stayed up well into the night to hang before opening our doors over a year ago. Collectively, the words on those posters tell our story. DREAMS: Jeff wanted to spend more time with his family and make a difference in the world. INDEPENDENCE: We also wanted financial independence, which, for us, meant stepping away from the corporate world and out into the world of small business ownership. TRUST: After much temple attendance and prayer, we trusted in the Lord's assurance to us that things would work out for our good. 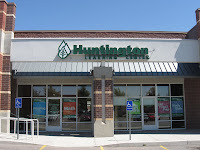 Jeff quit his job, we bought a Huntington Learning Center franchise, and we moved to Utah. SKILLS: Jeff utilized all of the skills he had and developed many more as he worked to build out the business location, market, hire teachers and assistant directors, and enroll students in the center. 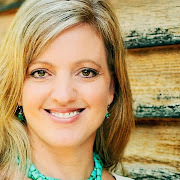 Susie utilized all of the skills she had and developed many more as she navigated herself and the initially unwilling kids through the emotional roller coasters of a move. ENDURANCE: Following an off-the-charts beginning for our business, the economy took an unexpected plunge. As a result, most people stopped spending - at least for a while. However, our business expenses continued to accrue. Thus, we learned the true meaning of what it means to endure. We pressed forward, prayed a lot, watched our bank account dwindle, worked a lot harder, and endured. COMPREHENSION: Business finally picked back up. We enrolled students, had fantastic teachers, and were making a difference in the world. Grades, ACT and SAT scores were raised dramatically. Many lives changed, one tutoring session at a time. This did not change the fact, however, that we had had several months of cash flow negatives before we began to break even and eventually be profitable again. We had a decision to make: Do we go into more debt to keep the business going, hoping for the best in the future, or do we make the decision to "unwind" the business? Comprehending the full implications of this decision was excruciating. Again, we took it to the Lord, and made the decision to sell - at a colossal loss. IMAGINATION: In our wildest imagination, this was the most dreaded, least desired outcome. SUCCESS: From a financial perspective, we didn't achieve it. Clearly, the Lord had another kind of success in mind. DISCOVERY: We have discovered that the Lord's plan for us can be the polar opposite of what we anticipate, what we think it should be, what we want. We have discovered the many blessings that come through adversity and financial difficulty. These circumstances have brought our family together and strengthened us in ways I never thought possible. YOUR CHILD CAN LEARN: Many students who have been tutored at our center have made remarkable academic progress despite extreme challenges. We now understand that we can make remarkable spiritual progress as a result of extreme challenges. Carefully evaluating our experiences, I realize that the Lord never promised us financial success; in fact, our bank account balance has no correlation to eternal success. He promised that things would work out for our good. I humbly acknowledge that struggling financially has been for our good; it has strengthened us and increased our faith. We have relied on the Lord more than ever before, acknowledging that all we obtain, including any success, is a gift. Our absolute best efforts alone are truly never enough. We will always need the help, guidance, and tutelage of the Lord, as well as the healing, renewing, and strengthening power of the Atonement of Jesus Christ. We are children of God, being tutored. No matter the circumstance, my prayer is that we'll never stop learning. This was beautifully written, and a lesson for all of us. We're all being tutored.....I love the analogy, and also the visual image of a loving Father helping me with my "homework". Thanks for a great start to my day! :) We miss you guys! What a beautiful post. 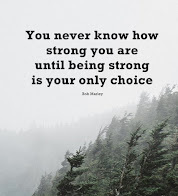 You have such a great strength and conviction in the Lord. He will bless you. As Drew and I were going through the move here, and I look back, I miss being carried by the Lord. He always has a hand in our lives, but sometimes, He carries us. As hard as the times are, the closeness we feel to Him are so precious. We wish the best to your family and the future. If Jeff would consider a job out here, Drew would be happy to introduce him to people here. He is a consultant without all the traveling. He just drives into DC a few times a week. He truly loves his job. You guys are awesome! As always you're in our prayers. Thanks for sharing this great insight with all of us.